All the villa houses are located in an olive grove close to the beautiful pine forest of Vassilikos, within the borders of the National Sea Park of Zakynthos. 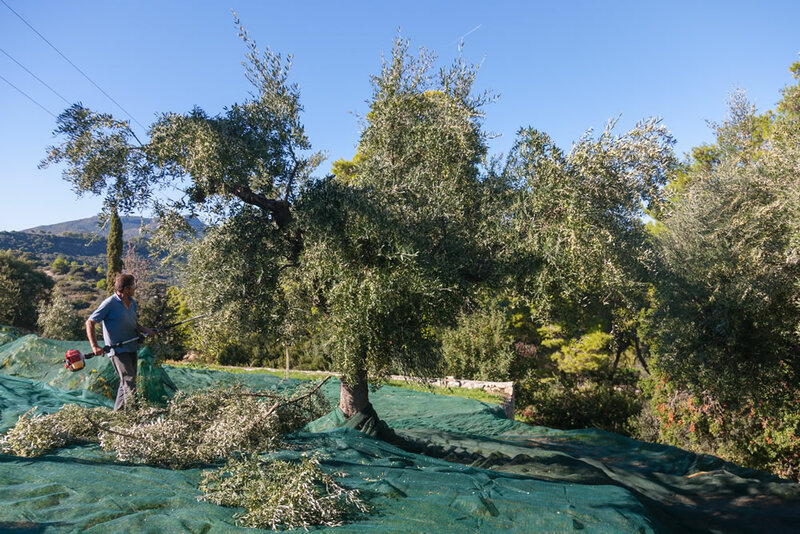 The cultivation of the olive trees and the collection of the olives are done by Giannoulis family. 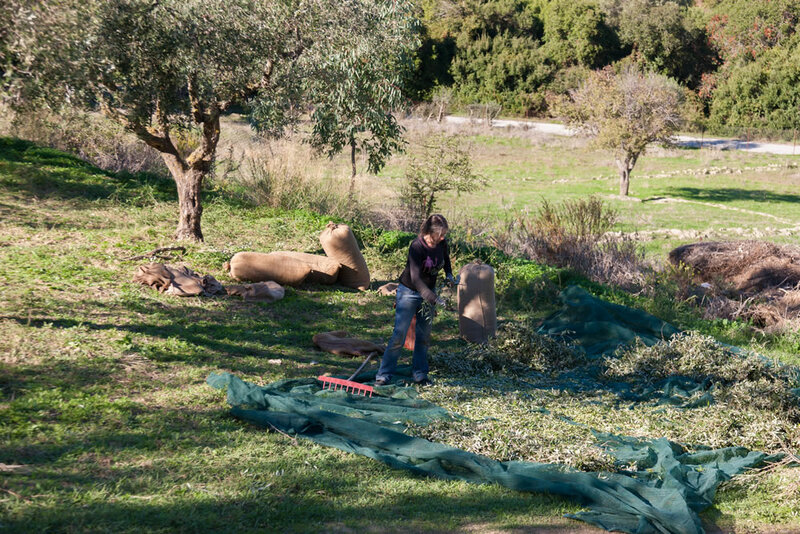 According to the guidelines of the organic agricultural farming that we’re part of, our small olive grove underlines the strength and determination of the village people, if you consider that a hundred years ago on this grove there were only nine olive groves whereas today there are more than 600. 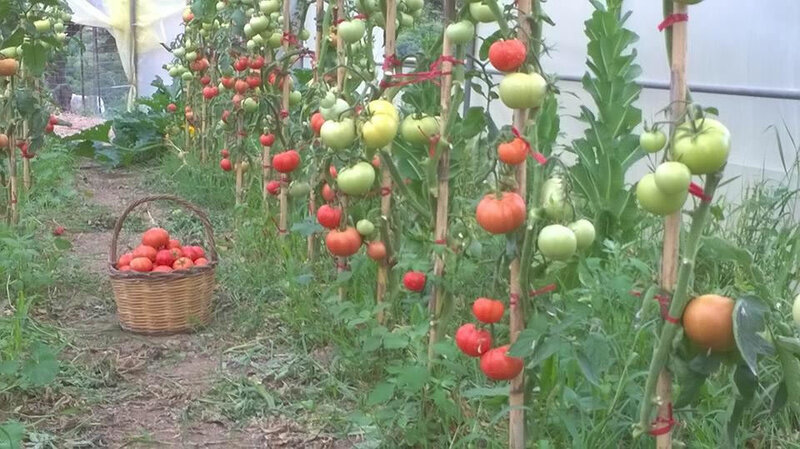 In those days all the farm work was done without mechanical means and there were many difficulties with cultivation. 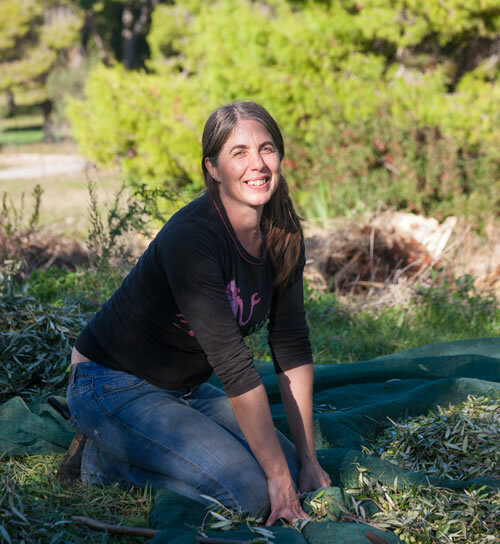 Today the process is easier and the produce of the olive trees is much better in terms of quantity and quality of the olive oil. 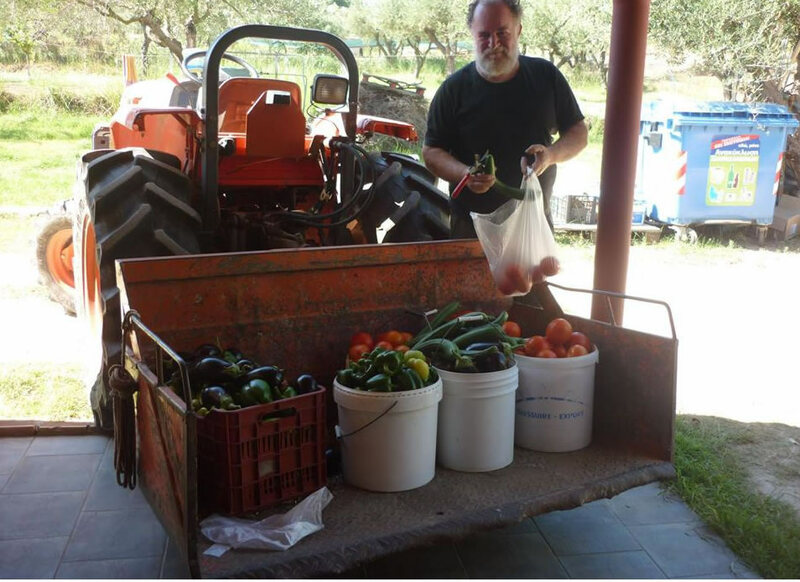 We are proud of our produce and we follow the guidelines of the organic farming program. 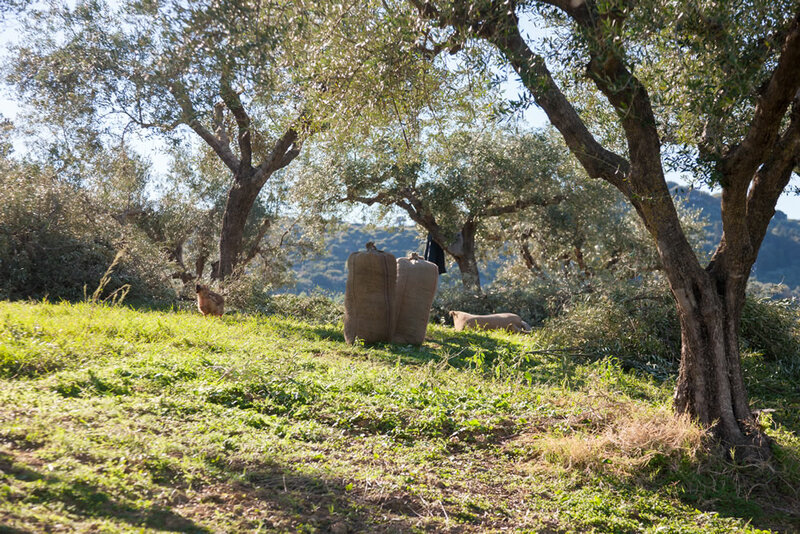 Apart from the olive trees another important cultivation for the family is the vineyard and the organic farming of 3 varieties of grapes; Syrah, Cabernet and Robola. 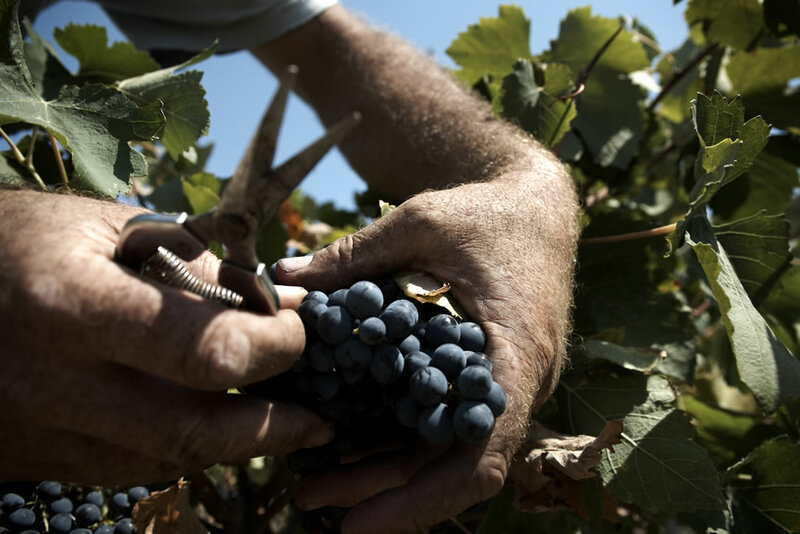 Each year we try to improve the quality of the wine we produce. 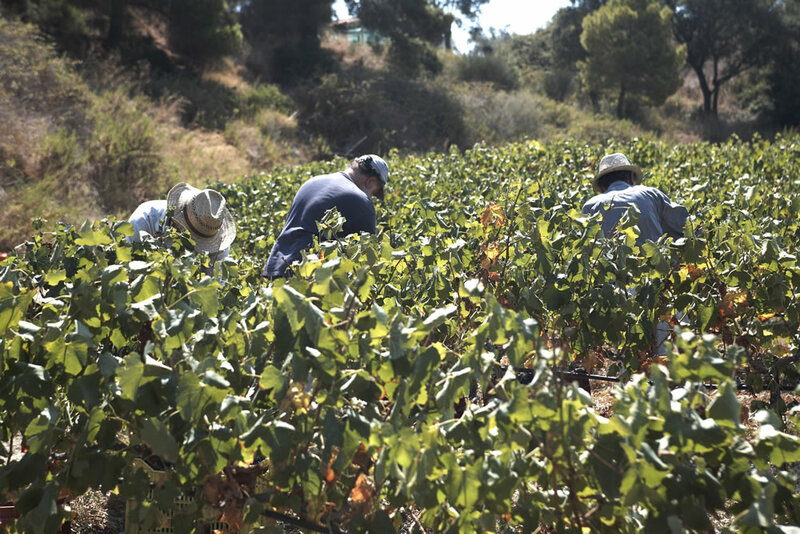 There are many stages in cultivating the vineyard from January to February; the burning of the vine branches, the spraying for disease free plants. 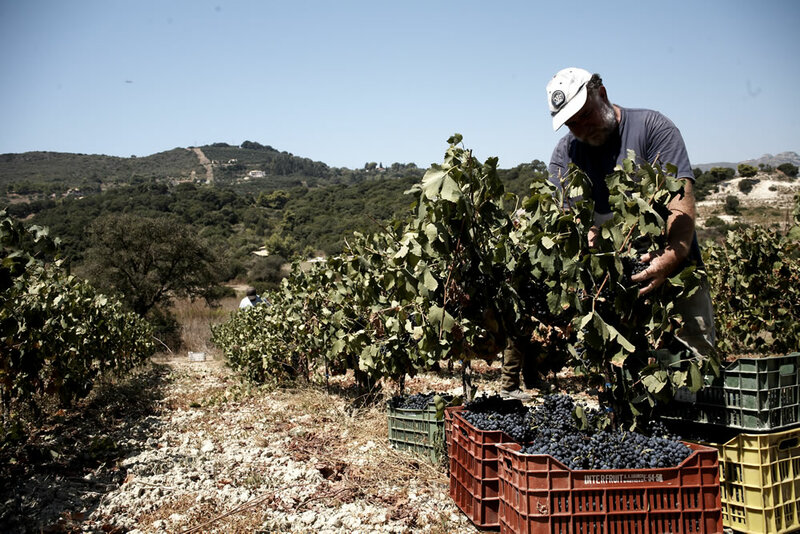 The gathering of the grapes in September, the crushing of the grapes by foot, putting the must in the barrels and observing the fermentation to produce good local wine. We also have a group of 10 beehives. Their location allows bees to collect nectar from a wide variety of flowers. 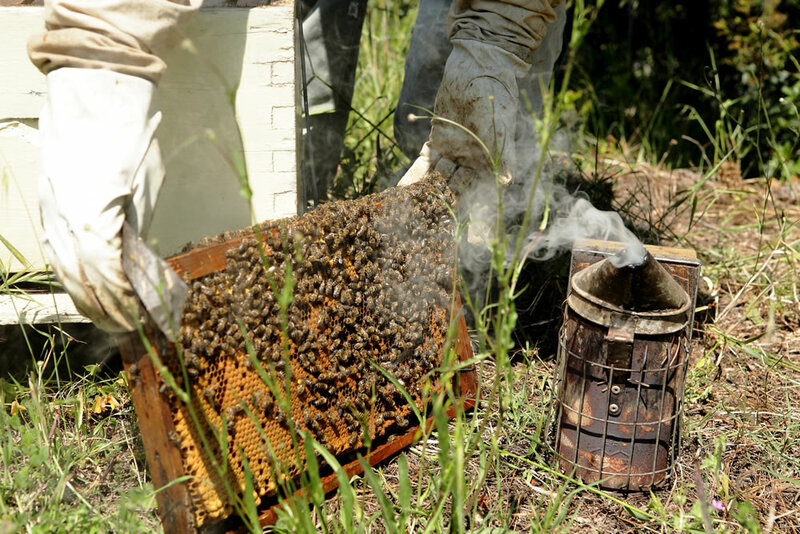 With our own special care we are able to produce a very tasty variety of fine honey. 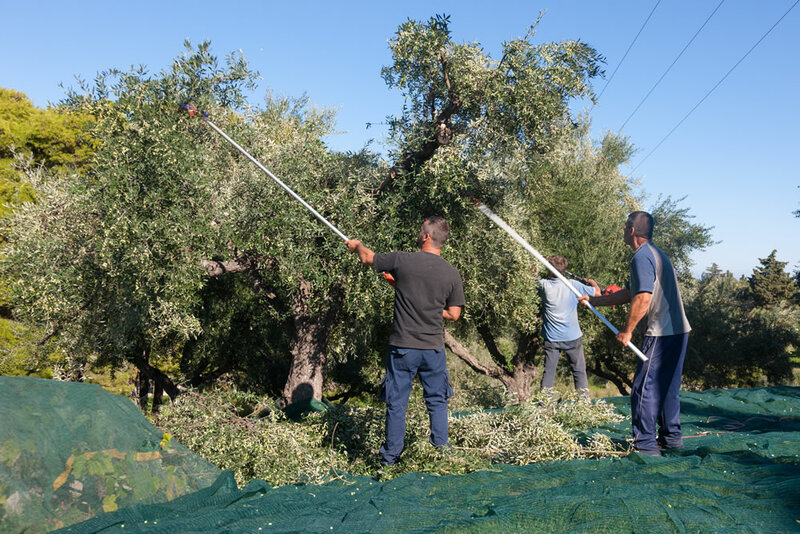 On our farm, depending on the season, you will see many trees full of fruit : in summer apricots, figs and cherries and in winter oranges, lemons and mandarins.